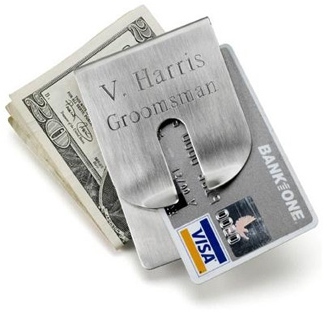 * Our most popular money clip, this sophisticated clip is a masterpiece of balance and symmetry. * Light weight yet durable. 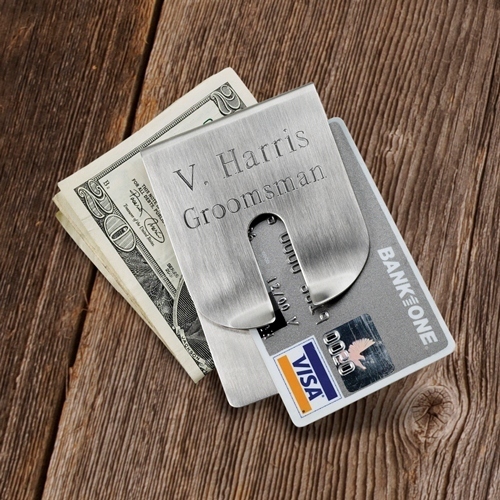 * Help him keep his bills and credit cards safe in the Da Vinci of stylish accessories. 3.5" x 2.25" x 2"